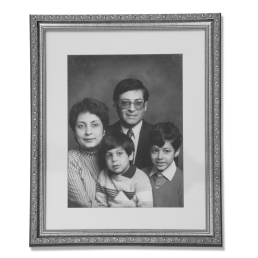 The KFI family story began with a love of traditional food. As a young bride of 22 and a recent immigrant to Canada, Kiran Kataria learned the basics of Indian and Italian cooking. She was raised on gourmet Indian food and knew how authentic Indian food should taste. Kiran was passionate about cooking and started experimenting with spice combinations like Basil and Tulsi – a well known Indian herb. Her children’s friends who were used to hamburgers and pasta loved her Indian cuisine. Kiran’s passion for cooking grew as she continued to run her own software business. She valued the tradition of taking care of the family. Kiran learned to create her dishes faster and still delicious. It was just after Kiran had finished making a small batch of Tamarind Date chutney sauce when Ranbir, her husband, suggested storing the chutney in an empty ketchup bottle. Squeezable for easy use and not glass – it was perfect. It didn’t take long for Kiran’s entrepreneurial spirit to take over from there. She and Ranbir began perfecting their first recipe, working with label designers and getting ready to share their first product. While running a software business full-time and now building a new food company from scratch, preparing daily meals for the family that were quick and tasty became more of a challenge. Rishi, one of her sons became interested in his mom’s food business hobby and realized there was a unique opportunity available. No one was making Indian sauces in Canada. All the major brands were being imported and were bland – nothing like mom’s cooking. Rishi recognized a need. Second generation Indo-Canadians loved traditional food but were unable to make it. In 2007, KFI Inc. was created and Rishi left his full-time job at a major financial institution to pursue the vision alongside Kiran. Ranbir and her other son Raman were ready when Kiran & Rishi launched their first two products – Tamarind & Date Chutney Sauce in Mild and Hot & Spicy flavours. They hit the streets after working their full-time jobs to deliver products to stores. On weekends Raman and Rishi would provide sampling sessions at local grocery stores to raise awareness. 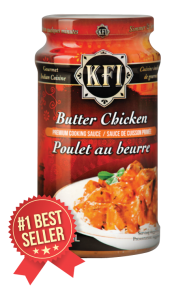 Kiran and Rishi were persuasively successful in getting Loblaw, Highland Farms and other stores to stock KFI products. By 2008, KFI developed a line of chutney sauces in 6 different flavours, including 2 flavours unique to KFI – Achari Mango and Coriander Cilantro. Reminiscent of the true flavours of India, the new products were an instant success. In 2010, KFI expanded into cooking sauces and launched 5 flavours that had been a trade secret in the restaurant business. These were the ‘mother’ sauces that can be used to create over 20 different traditional-style dishes! Kiran and head taster Rishi make sure they have the exact taste and precise profile just right for each product. Simple ingredients, high quality and innovative tastes. KFI is the ideal version of Indian food – just like mom or Kiran used to make. The Kataria family knows life is hectic but when tradition matters let the KFI Kitchen come to your kitchen with Premium Cooking and Chutney Sauces that make everyday meals fast and delicious!